What Are Replacement Behaviors and What Do We Need To Know to Be Effective? So, how are you surviving the beginning of the year? Class set up? Schedule set (does it ever really get finalized??). At this point in the series, we are ready to move on to the second part of the behavior support plan–the teaching parts. 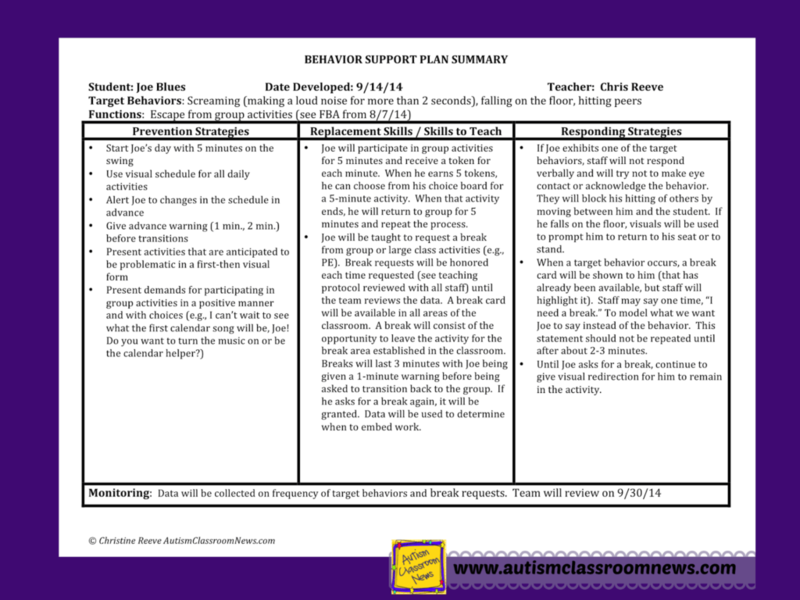 If you haven’t seen the post on the format of a behavior support plan, check here. There is a freebie, so go ahead and check it out and I’ll wait. OK, ready to continue? This section of the support plan is divided up into 2 components: teaching replacement skills and teaching ancillary skills (or skills the student needs but that aren’t necessarily related to the function of the behavior). Before we get started on specific skills in each area, let me clear up a few frequently asked questions about them. 1. What is a replacement skill? A replacement skill is an appropriate skill that is maintained by the same consequences as the challenging behavior. 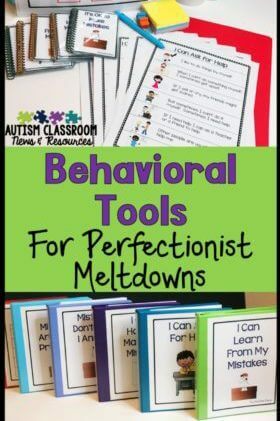 The point is that by serving the same function as the challenging behavior, the appropriate skill can be used to get the same need met in a more appropriate way. 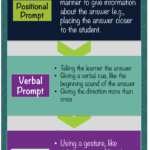 An example would be teaching a student whose behavior is determined by the FBA to serve to gain reaction or attention from his peers to tell jokes to get that same reaction. 2. Why are replacement skills important? 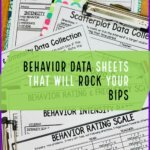 In my opinion, and based on much of the research, behavior support plans need to have a replacement skill included in them in order to create long-term changes to behavior that generalizes across settings. Replacement skills are important because they help the individual meet a need in a more appropriate way. Can we decrease the behavior without a replacement behavior? Sure, many times we can. However, it’s likely that the behavior will return unless we’ve met the need of the underlying function. For example, if a student engages in picking at his skin on his hand when he is faced with difficult situations, the function of the behavior may have been determined by the FBA to be negative automatic reinforcement through relieving anxiety. We can block the behavior and punish it by removing tokens from his token board or some other response cost to decrease the behavior. However, while that behavior may decrease, another behavior may pop up that provides the automatic reinforcement of relieving the anxiety if we don’t address the need for that reinforcement. So, we need to think about a relaxation strategy or a way to access that automatic reinforcement in order to truly make a difference for the individual. 3. What characteristic is the MOST important in choosing a replacement behavior? Real estate has the mantra: Location. Location. Location. Behavioral support has the mantra: Function. Function. Function. 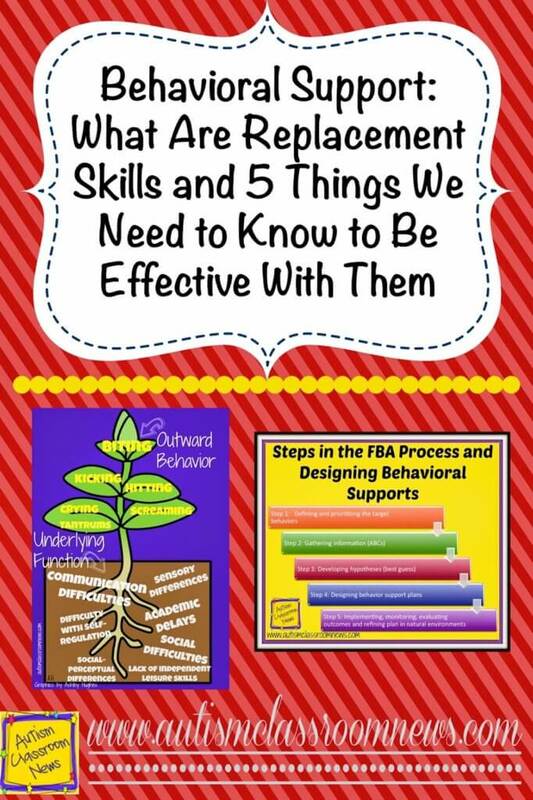 The most important element when choosing a replacement skill is that it serves the same function that the challenging behavior serves based on the results of the FBA. That’s one of the reasons that the more details you have in your hypotheses statements, the easier it will be to choose effective replacement skills. We have research that indicates that teaching a communication skills that is not related to challenging behaviors does not reduce the behavior. For instance, teaching students to ask call someone’s name to gain their attention when hitting the adult serves to escape from a situation does not reduce the hitting because it doesn’t serve the same function (Carr & Durand, 1985). 4. What other characteristics, besides serving the same function, do we need to think about when choosing a replacement behavior? Research indicates that the other element that is important in choosing a replacement behavior is efficiency. The replacement behavior needs to be more efficient than the challenging behavior at accessing the reinforcer. There are generally 3 elements that make up efficiency. The replacement behavior has to get the reinforcer (e.g., attention, escape, automatic reinforcement) faster, easier, and more reliably. We can accomplish efficiency of the replacement behavior through the choices we make about the form of behavior we decide to teach as well as about differentiating our response to them (e.g., delay reinforcement for the challenging behavior while reinforcing each instance of the replacement behavior immediately and every time). Faster: it has to get help, escape, attention, internal reinforcement more quickly than the challenging behavior. So, if hitting the teacher gets the student out of work immediately but asking for a break requires the student to do 2 more problems, then it is less efficient than the behavior and won’t replace it. Easier: The replacement behavior needs to be easier for the individual to implement than the challenging behavior. If it’s easier to hit you than to find a communication device, look through it to find the right vocabulary, and then hit the button to tell you I want to talk to you, then hitting is going to prevail. Whatever the replacement behavior is, it has to be over learned, within the individual’s repertoire, and easy to access. I’ll talk in future posts about what this means for choosing communication responses. More Reliable: The replacement behavior has to get reinforcement more frequently and more consistently than the challenging behavior. We can accomplish this in two ways. To do this, we need to make sure that the replacement behavior form we choose is something that is easily understood and will get the needed response in most situations. If I’m teaching sign language to ask for attention and the student’s sign is indiosyncratic and not easily understood by others, then it’s not going to be terribly reliable because it won’t be understood and reinforced across environments. 5. When might you not have a replacement skill in a behavior support plan? There will be times when we can’t figure out what a good replacement behavior would be. One of the primary times for this is when there is an automatic reinforcer that we can’t easily identify what the actual reinforcer is. For instance, if you work with a student who pulls out her hair and the FBA indicates that it functions to gain automatic reinforcement, our replacement behavior would need to elicit that same reinforcement. If that reinforcement seems to be related to anxiety, we might be able to teach some relaxation strategies to reduce the anxiety. however, if it isn’t that type of behavior and appears to be reinforced by the sensation of pulling out her hair, then figuring out a replacement for that is much more difficult. In that case, we might have to increase other behaviors to keep her hands busy and engaged which might compete with the hair pulling. It doesn’t replace it, it just substitutes for it and requires making sure that the environment is always set up to keep her hands engaged. 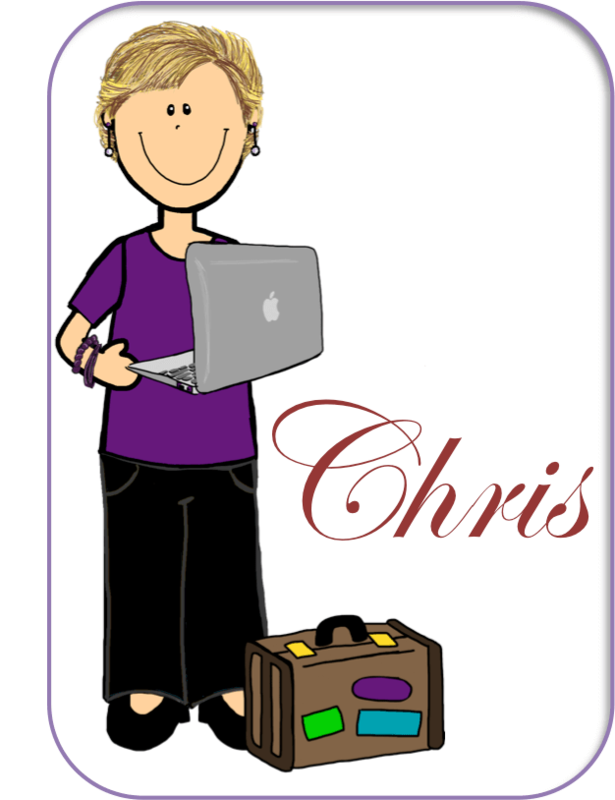 So, in the next few posts I’ll be talking about different types of replacement behaviors and how we teach them. Then I’ll tackle ancillary behaviors and how we can teach them. In the meantime, what are your most challenging functions for replacement behaviors in behavioral support? Hi wondering what would be a good replacement behavior for my son he is 6 uses some words but doesn't fully communicate. He will have meltdowns where he will start screaming of course this gets attention. We usually tell him use your words (read your blog on that as well) but sometimes I think it is because of frustration or just flat out wanting attention. Any ideas would be greatly appreciated. Give him the words, say “Say help me” or “Say I want cookie”. Most likely he can not find the words and communicate them correctly. 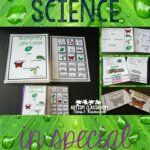 you could also use PECS (picture exchange communication system) print out photos from google images, laminate and velcro them to a board. Have your son exchange the picture to communicate.